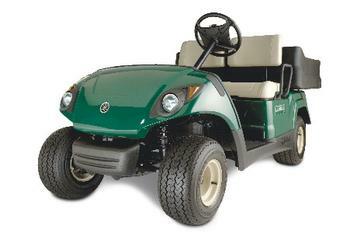 Yamaha Motor Manufacturing Corporation of America of Newnan, Ga., is recalling about 145,000 Yamaha golf cars, personal transportation and specialty vehicles. The company has received 417 reports of incidents involving spring failures. No injuries have been reported. The vehicles were sold in various colors including blue, green, red, white, tan and silver. The model and serial number can be found on a label under the seat on the left or right side. The vehicles, manufactured in the U.S., were sold exclusively at Yamaha golf car dealers nationwide from June 2015, through August 2018, for between $5,500 and $12,300. Consumers may contact Yamaha toll-free at (866) 747-4027 anytime or online at www.yamahagolfcar.com and click on the CPSC Recall Alerts tab for more information.